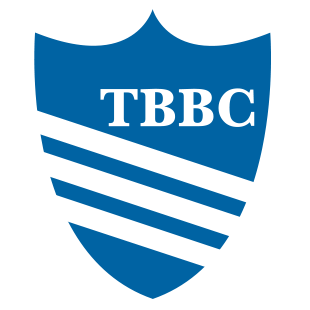 The Best Indianapolis Bed Bug Exterminator in Indianapolis You Can Trust! 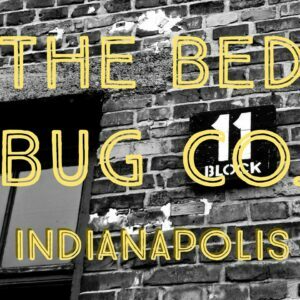 Check 'The Bed Bug Co.' on WRTV 6 News! Check us out on WRTV 6 News! Bed bugs are irritating creatures that cause many sleepless nights. They procreate at a rapid rate, and even a single bug or egg can produce an infestation. These bed bugs move smoothly between clothing and furniture, and you can experience a massive outbreak in a very short amount of time. They usually inhabit on mattresses, bedding and couches. It can be very difficult to get rid of bed bugs, but it is not an impossible task. Call the Indianapolis Bed Bug Exterminator! 317-620-7901 or Request a Quote! Go for a Bed Bug exterminator like us who have the right knowledge and experience in dealing with these insects. As your Indianapolis bed bug exterminator we will perform a thorough inspection of your home, focusing on problem areas like bedding, cracks, holes, furniture, and walls. When we have identified the problem, we will give the most suitable recommendation regarding treatment method. 317-620-7901 or Request a Quote! Want to see how our 'Mosebach Heat Treatment' works? 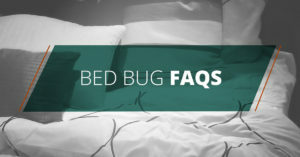 With bed bug exterminations, it's good to research the methods that are available. We use heat and/or steam to eradicate them. 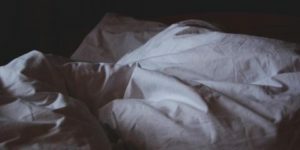 Things that you can do in assistance to eradicating bed bugs from infested blankets, bed sheets, and clothing, try washing and drying them to help prevent them from getting worse. Although our cost is customer friendly, we still do not deviate from a first-class services. 317-620-7901 or Request a Quote! Preparing your home: From the bedrooms, you will need to remove all of your clothing, bed sheets and curtains, wash them, and place theses items in bags. Next remove any combustable items (ammo, aerosol canisters ect). Once this is done, it wise to vacuum the room thoroughly. When you are done with this, you are ready for the treatment. Our certified technicians go through several hours of training in order to have the skill to perform the procedure and utilize all equipment. Our methods are non-toxic and will not cause any health hazards. Have a question? Visit our Frequently Asked Questions page! If you want first-class treatment, contact the Indianapolis Bed Bug Exterminator, and you will never regret. 317-620-7901 or Request a Quote! These guys leave a great impression on us. Very high level of professionalism also. Very educated in their industry because they explained everything to us authority. If you’re looking for someone that will treat you like family than go with these guys.